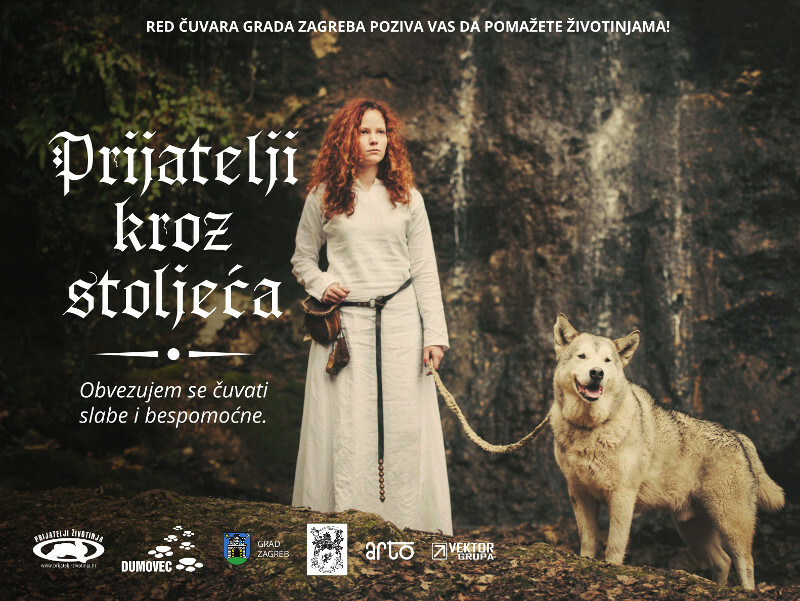 - Billboards of the Order of the Guardians and animals with the message: "I undertake to protect the weak and helpless"
"Friends Throughout the Centuries" is the name of the campaign launched by the Dumovec Shelter in collaboration with Animal Friends. 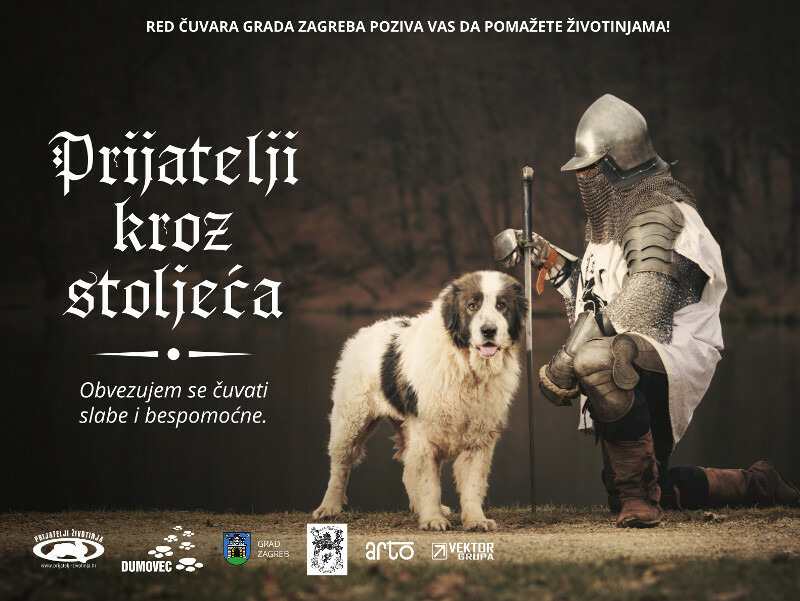 On the photographs that will be placed on many locations in Zagreb, knights, members of the Order of the Guardians of the city of Zagreb, pose with abandoned dogs and invite to help our animal friends. 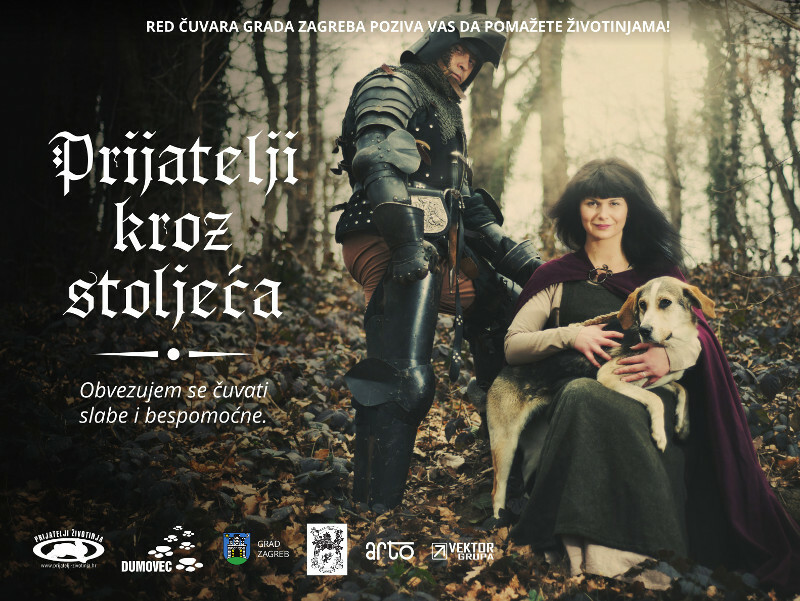 The Order of the Guardians of the City of Zagreb is an association of citizens, established with the purpose of promotion, development and improvement of the Croatian and European ancient, medieval and early modern living history and cultural heritage. 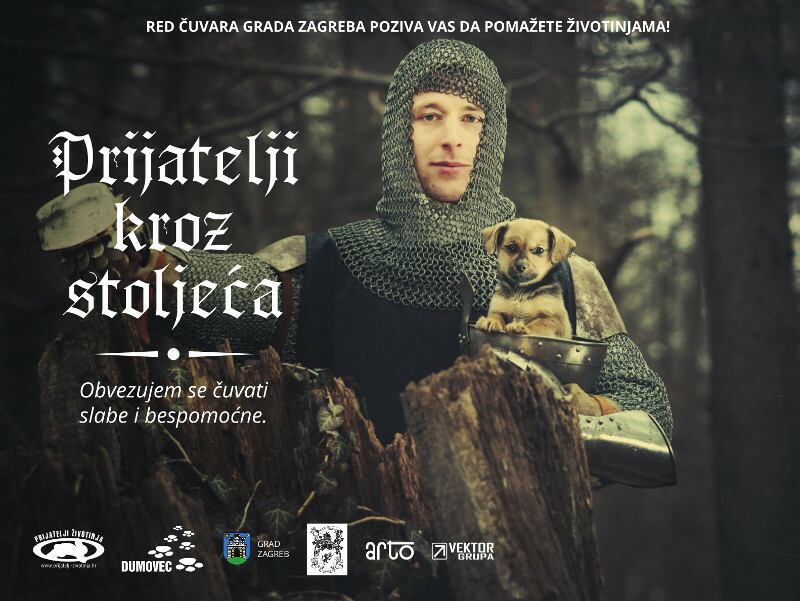 It was logical that Dumovec Shelter addressed the association of young people who are passionate in promoting knightly virtues such as honor, courage, commitment to the poor, helpless and nobility. After shooting in the park Maksimir, where the knights of Zagreb met with the dogs from the shelter in Dumovec, they visited the shelter where they volunteered and took their new friends for a walk. Even without the knight's armor we can all be knights to those who need our help. It doesn't have to be only adopting instead of buying; it can be volunteering, providing assistance to injured animals, reporting the abuse, responsible treatment of animals as changing our habits that affect their fate. There are many ways how to respond to the invitation of the Order of the Guardians to help animals. For more information please visit www.azilzagreb.com and www.prijatelji-zivotinja.hr where you can also see the dogs from the billboards who are waiting to be adopted, as well as many others who share the same fate.